Cerebral palsy – what’s in a name? The name Cerebral Palsy (CP) has been around for quite sometime and used for a wide spectrum of developmental and acquired neurological disorders. CP is not a primary disease or disorder of muscle as many people think. It is not a disease or primary disorder of bone, joint or tendon which would be convenient but not true. Over time, a considerable number of conditions affecting the developmental process and maturation of skills have been unceremoniously added to this increasingly expansive, heterogeneous diagnosis called Cerebral Palsy. We have no specific medical codes for those developmentally delayed children with rare or previously unknown genetic aberrations. So we added them to the collective Cerebral Palsy “basket” as well. With major developments in basic neuroscience and associated perinatal care, there has been increased survival of pre-term infants who are faced with a 30% greater risk of cerebral palsy; particularly the diplegic sub-type. All diplegic kids are not alike; even with the same birth and perintal history. To “package” the children into such convenient black and white categories is convenient but not functionally useful for treatment and management. All kids with CP must be individually evaluated and management of sequelae addressed as it may or may not affect the abilities of that child. These are abilities that are constantly changing as the child matures. Their brain injuries are static buy their neuromotor systems are indeed dynamic and modifiable. As parents, we want all treatments and managements that are known. However, we cannot make each child fit a specific management technique if they are not candidates for them. 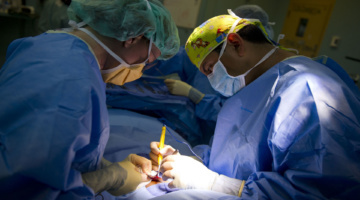 Selective dorsal rhizotomy has made a remarkable change in many children’s lives. However, those children who benefit from SDR are true, spastic youngsters. Someone tells you that your child has spastic diplegia. So why not do SDR on all of these kids? Some of the “spastic” children we see are not really “spastic” and therefore would show no benefit since SDR relieves true spasticity only. The selection of a tool or procedure for a child is based on their abilities to move and our ability to realize what is the greatest obstacle facing the child at this point in time. For some it is spasticity while others it is the sequelae of contractures; neither child benefiting from identical procedures. As this web site grows and changes, there will be updated questions and hopefully some better answers for selecting the tools; surgical, physical and mechanical tools – the good, the bad and the ugly. At a meeting of physicians who devote their time in management of CP a paper was presented regarding the potential benefit of selective spasticity relief. The presenter was met with considerable skepticism. After all, we had been managing reasonably well, so we thought, without addressing the nervous system in a group of kids (who all have neurological problems) but addressing the compensatory sequela or clinical findings. After all, Dr. Warwick J. Peacock had only shown us child after child who benefited from Selective Dorsal Rhizotomy. Where was the “evidence”? It was not enough to have 5 year or 10 years of pre and post-operative clinical findings where benefit was observed by parent, child and other physicians. It was, and still is all too easy to criticize and condemn relatively new ‘tools’ or procedures and even question the motivation of the physicians and surgeons who develop techniques and procedures that are not from the old school of tradition where I was taught. Yet those who are first to criticize are often those who use part of a traditional technique and vary it to suit the needs of their hands and the child’s needs; all without evidence-based documentation. Look in the literature of evidence-based surgical procedures or various AFO designs along with other therapeutic techniques. At best, most all of these techniques have been Level 4 evidence with very few patients and short term follow up. It took awhile before others started to look at it and over time, a long time of 10 years could we come to grips with the procedure. So children continued to receive the tendon releases as their spasticity demanded; even though there were no evidence-based papers in the past 30 years stating that tendon lengthening is best medical practice. 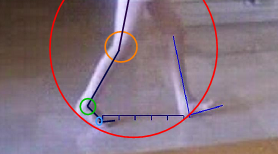 How many tendo Achilles lengthening procedures are there? Why so many and named after the surgeon who thought of a variation in surgery to increase the ankle range of motion when it became limited. With failure rates of these lengthening procedures fairly high, individual surgeons select one or two that they are “most comfortable with.” It is more of which procedural technique does not work well in my hands or his hands. This site will touch on some of the details. I would be remiss if the topic of Selective Percutaneous Myofascial Lengthening was ignored. Like SDR in its beginning and its lack of acceptance, SPML is performed for those kids who can benefit. Not all kids with CP can or should have SPML as a technique or tool where there are better options . They must be selected with clinical outcome measures of daily function in mind. I see little difference between the 1980’s turmoil with SDR and current day SPML. Where is the evidence? Ask the parents and ask the kids. I will take a large number of anecdotal successes over poorly run attempts to establish evidence with 2-3 children. Are we doing tendon lengthening incorrectly? No. Our techniques are normally those which were taught to us as residents. As residents we rarely if ever saw the child over time and we hoped and presumed that they did well as they grew and matured. A favorite topic that intrigues me is the “not so simplistic design for orthoses” [sometimes called braces]. Without the AFO being designed well for that specific child and possibly as an assist follow a specific surgery [SDR, TAL, SPML, or tendon transfers], the surgical procedure has greater risk of failing. 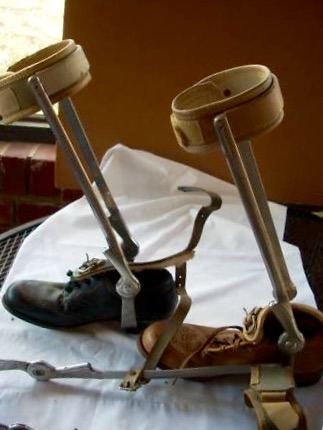 The AFO should be designed to enhance function and guide the direction of motion over a series of joints working together on all three dimensions. An AFO applied to a surgical candidate before surgery is not a success. 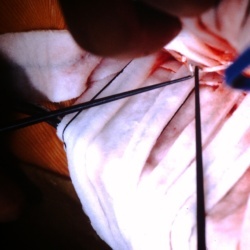 However, some AFOs have been successful in reducing the amount of surgery later needed or allowing the surgery to be postponed until more skeletal maturation has occurred. AFOs can protect the relatively moldable bones and joints of the lower legs, ankles and feet; areas that receive tremendous aberrant stress from the body above the weight bearing feet. As time permits, this site will continue to evolve. Highlights or take-away points will soon be added for each topic to make for easier understanding.